More than 200,000 people from 140 countries have applied to be the first human settlers on Mars, the group behind the project to colonize the red planet, said on Monday. Bas Lansdorp, a Dutch entrepreneur, plans to establish a permanent base on Mars in a mission he hopes will take off in 2022 if he can find the necessary $6 billion. United States tops the list of applicants- it has about 47,000 applicants. India is second with 20,000 takers and China has 13,000. Mars One, the non-profit group which initiated its hunt for "would-be Mars settlers" in April. By 2015, Mars One expects to put 10 four-member teams through intensive training, with one of those teams proceeding to Mars in 2023 on a one-way trip that would take seven months to complete. Space agencies including NASA have expressed skepticism about the viability of Lansdorp's plan, saying the technology to establish a human colony on Mars does not exist. Mars One says on its website that the mission is a decade-long endeavor, with funding intended to come from the global audience of an interactive, televised broadcast of every aspect of the mission. The project has the support of Gerard't Hooft, the Dutch joint winner of the Nobel prize for physics in 1999. 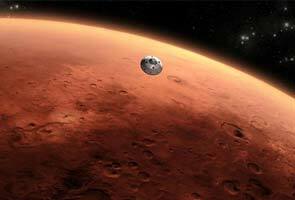 So far there have only been unmanned missions to Mars undertaken by NASA, which has signaled its intent to send astronauts there within 20 years.